The new SE-S10 is a single station thermal printer model with drop-in paper loading. 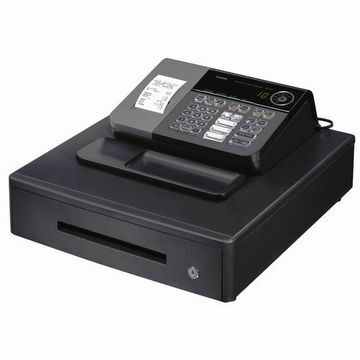 It is designed to be a stylish user-friendly register suitable for use in many small businesses. It combines convenience in setup and day-to-day operation with deluxe features such as a customer-friendly rear display and antimicrobial keyboard.